Or view larger version. 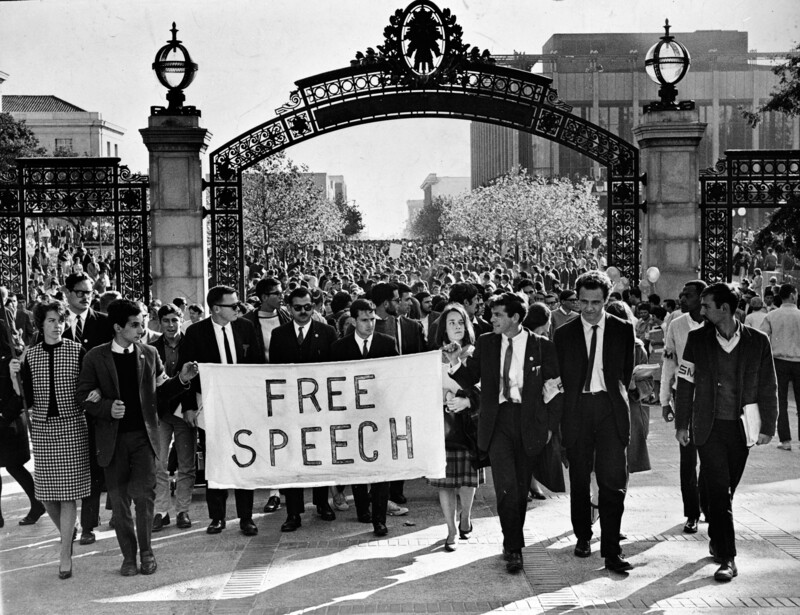 Free Speech Movement leader Mario Savio leading student protestors at the University of California, Berkeley. Nov. 20, 1964. Chris Kjobech, photographer. Gelatin silver print. Collection of Oakland Museum of California. The Oakland Tribune Collection. Gift of ANG Newspapers.